Put Sturino Walker Legal Services to work for you! Sturino Walker Legal Services Professional Corporation focuses on bringing high quality legal services to the public for an affordable price. 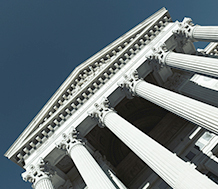 We strive to provide competent, dedicated, and passionate representation that meets our clients’ needs and interests. We set ourselves apart from other law firms by constantly staying up to date with the changes in Canadian Law that affect the citizens of Ontario. Sense of urgency – Producing positive results in a timely manner. A personal investment – We take the time to explain your legal rights and options. 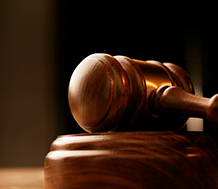 Skilled litigation – Dedicated to high quality legal assistance. We are constantly focused on the personal side of each case. Many Lawyers and Paralegals pass their cases off to employees, NOT at Sturino Walker Legal Services. 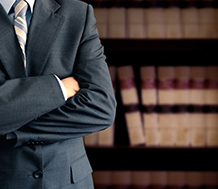 We will personally take care of your case from start to finish. We pride ourselves in always returning client phone calls and emails in a timely manner, and do everything we can to address our clients questions and concerns. Knowing that the legal system might be unfamiliar to you, we will take the time to explain your legal rights and options. It is a privilege that you have allowed us to be your representative. Thus, you are not simply our client, but our partner in your pursuit for justice. We will be with you every step of the way, helping you through this stressful time of your life. Your endeavour through the legal system can be an exhausting and difficult time. We constantly strive to provide you with the best possible service and results for an affordable price. We present you with honest answers, not theories, so that you may acquire a truthful answer regarding your legal needs. Contact a dedicated member of Sturino Walker Legal Services Professional Corporation today! Sturino Walker Legal Services Professional Corporation has the knowledge, skills, and resources to provide you with the results you want. Contact us today 905-738-7171 to schedule your free consultation.